Below I broke down the most popular men’s merino wool underwear according to the various different styles. What to look out for when buying merino underwear for men:here are a few features you can look out for when buying boxers or briefs in merino. One of the big benefits of merino wool is that it doesn’t smell after you wear it. Normal fabrics such as cotton or synthetics will start to smell bad after you sweat into them. This is a problem if you’re on a hike through the wilderness or travelling around the world with a small backpack. You don’t want to carry around dirty, smelly laundry waiting for the next opportunity to wash it. Secondly, merino wool is very insulating for its weight. That means it feels very thin, yet it insulates you better than thick cotton would. As a result, you’ll feel warmer in colder conditions (even if the fabric is wet). Conversely, in warmer climates, you won’t feel as hot. 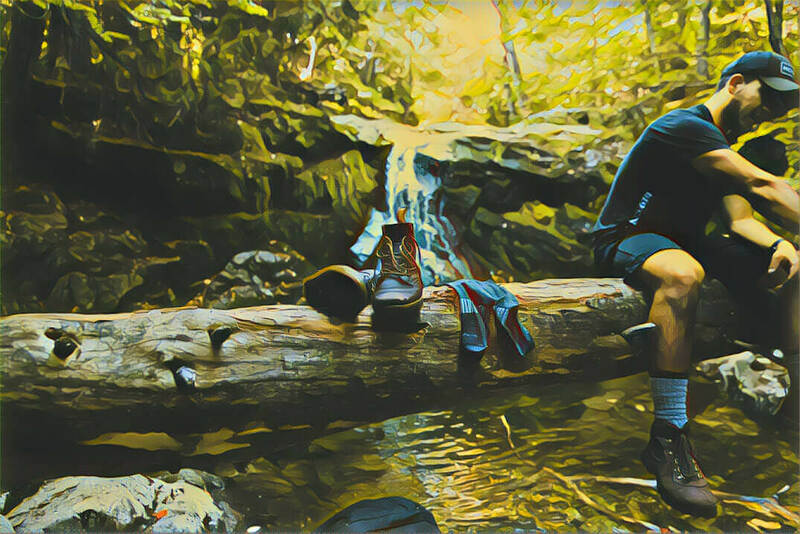 Finally, it’s a strong, natural material that performs well in terms of wicking moisture away from your body, keeping your skin dry and chafe-free. Merino wool is extremely fine and soft, so it won’t itch like other wool. Most of the options below have a sewn on elastic wasteband made out of a synthentic material. A few have an encased elastic waistband. With or without a Fly? Most men don’t even use their fly, so it’s often a more comestic feature, than a practical one. You probably already have a preference, but when it comes down to it, the pros of boxers is that they are easier to take off, keep you cooler around the crotch and if you’re a little out of shape, the hide this fact a little more. On the plus side for briefs, you’ll have a tighter fit and they’ll take up less space and weight if you’re backpacking. They’re also faster to wash if you’re travelling and washing by hand. And allegedly, if you’re in great shape, they’re more flattering! 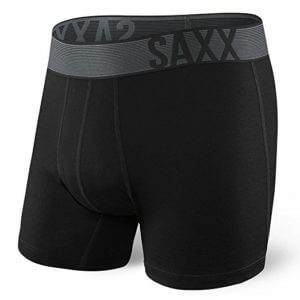 This pair of boxer briefs from Saxx gets our pick, because of their great looks and strong 185 g/m2 fabric of 95% merino wool mixed with 5% spandex. In addition you can machine wash them and dry them in a tumble drier. Machine-washable and dryable, tough materials and nice design are all plus points on these boxers. These boxers have a shorter in-seam, so if you have larger thighs, they may ride up. Plus points for these merino underwear are the fact that you can machine wash and dry them. Secondly, if you prefer a longer inseam, these will be a better choice than the Saxx boxers. The lack of an elastic waistband can make it a little less flexible and comfortable for some to wear. 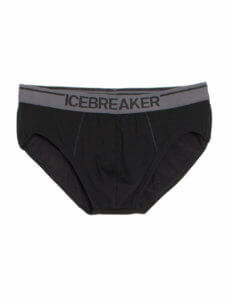 A classic pair of briefs from Icebreaker that have stood the test of time. Merino underwear can have durability issues, so Icebreaker have been trying out composite blends of merino wool with nylon, which they call corespun fabrics. These briefs are very light weight at 150 g/m and they have a low-rise cut, so bear that in mind when ordering. As they are 100% merino wool, they may have more durability issues than the Icebreaker briefs, but they will also have even less odor issues.